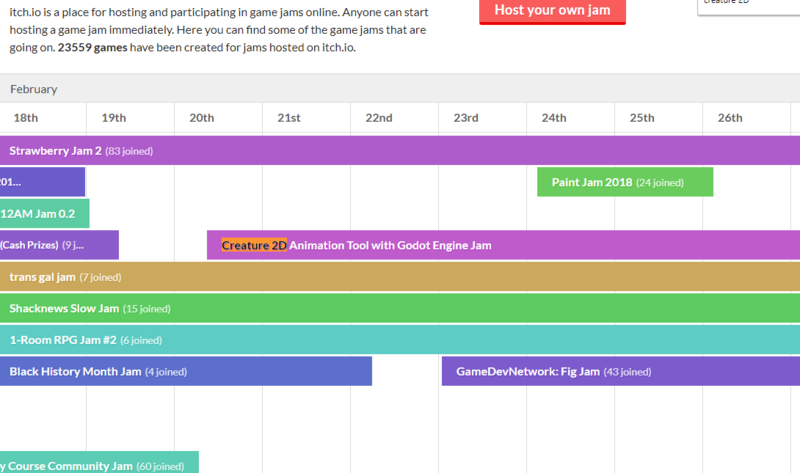 Game Jam not showing up? But it is not showig up on the Game Jam, not even the upcoming Game Jam(s) list. Is there any option/flag I need to set to make it visible? Hey! It takes a bit some time for the /jam page to update as there's quite a lot of content. Your gamejam has since appeared there! Good luck on your jam!